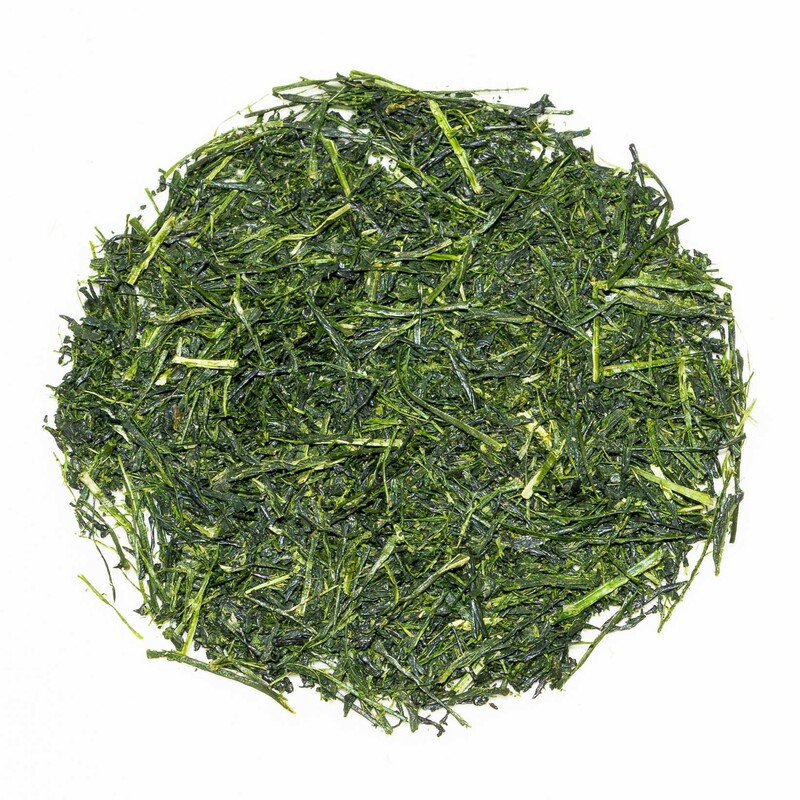 Ariake Fukamushi Sencha is a deep steamed refreshing green tea from Japan. 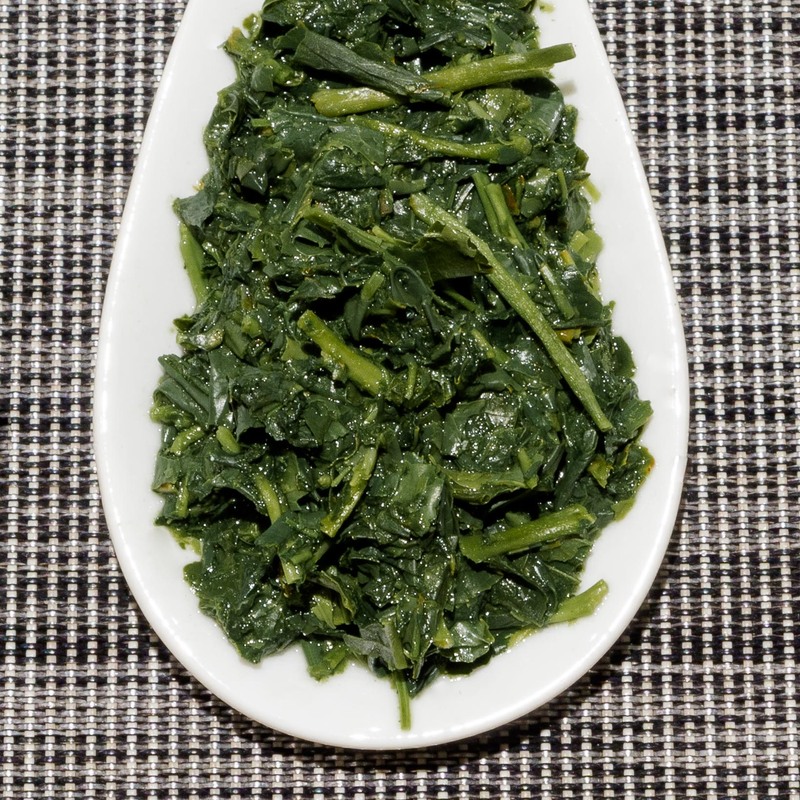 Dark green leaves produce a cloudy bright green liquor with a savoury aroma. The smooth, brisk flavour of this tea has fresh vegetal notes with a slightly sweet edge. Ariake Fukamushi Sencha is a refreshing speciality green tea from Japan. 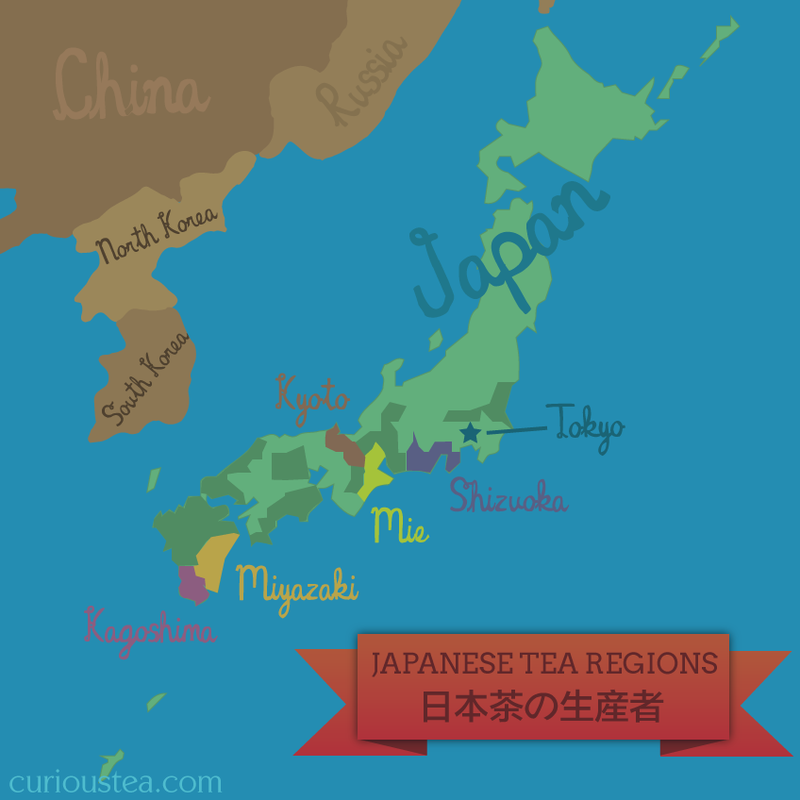 It comes from the Kagoshima prefecture, which is on Kyushu Island, the southwesternmost of Japan’s main islands. The name ‘Ariake’ refers to the former town of Ariake (有明町, Ariake-chō) that has been absorbed in Shibushi city, but the name still refers to tea grown around this area. This tea is from the summer 2017 crop. This Ariake Fukamushi Sencha, like most of Japanese green teas, is steamed rather than pan roasted. However it is rather more special as it undergoes a lengthier steaming processes, referred to as deep steaming. In Japanese, fukamushi (深蒸し) means ‘deep steamed’ as the tea is steamed for 1-2 minutes as opposed to the usual futsuumushi (普通蒸し) steaming, which is only 30 seconds to 1 minute. There is also an even lighter version that is called asamushi (浅蒸し) or ‘light steamed’ tea, which undergoes steaming for less than 30 seconds. 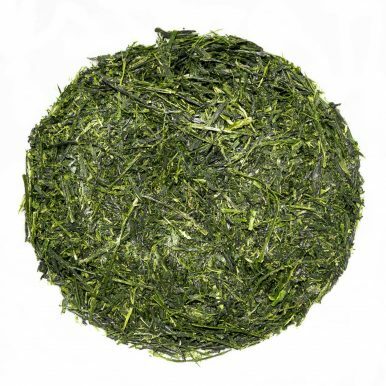 Even though gyokuro, kabusecha and even bancha can be deep steamed, it is usually senchas that undergo such treatment. 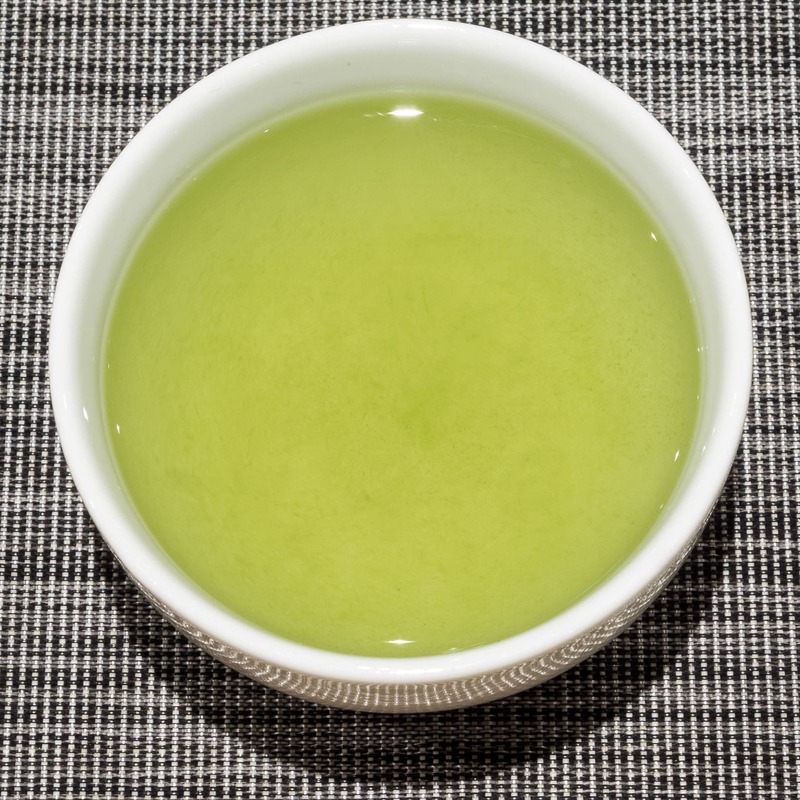 Therefore ‘fukamushicha’ will usually refer to a deep steamed sencha. This longer steaming process makes quite a big difference to the flavour of the tea. It diminishes the astringency and increases sweetness, resulting in a good balance between the classic umami depth and a pleasing sweet aftertaste. 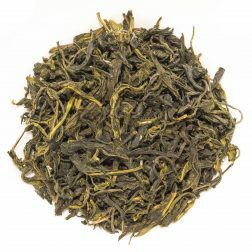 The steaming process makes the tea leaves very soft, so during the next processing stage, which is rolling, the leaves and tips can often break. This results in variable leaf size, with many very small broken leaf fragments. 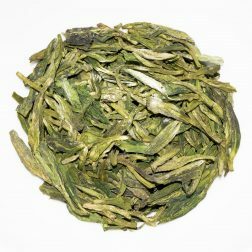 It can appear like a low-quality sencha, but the reality is completely the opposite as it the result of the specialised deep steaming process. 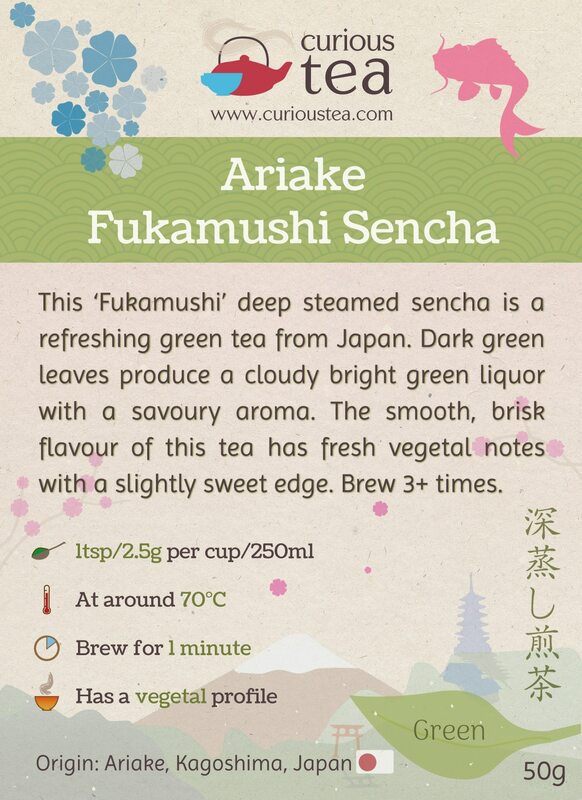 When brewed, fukamushicha also has a stronger, more vibrant, green color, with a cloudy liquor and sediment visible. There are Japanese teapots specifically designed for brewing fukamushicha, which have a finer brewing mesh with a larger surface area so that it doesn’t get clogged with the fine tea particles. We recommend using a very fine mesh infuser if you have one. 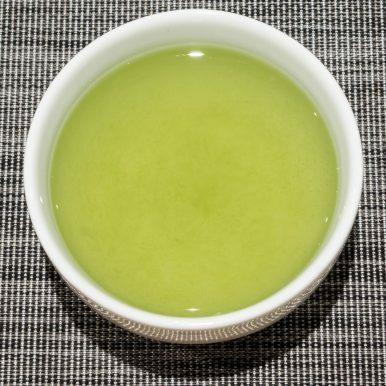 On the plus side, having fine particles in your tea can increase the health benefits, as you will be consuming more leaves (and their catechins, fibre, vitamins, and chlorophyll), very much akin to matcha drinking! 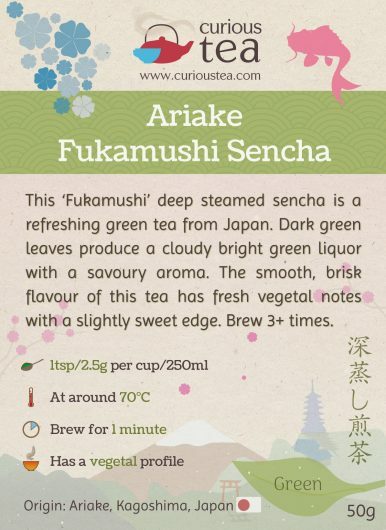 Ariake Fukamushi Sencha has aromatic dark green leaves that produce a cloudy but vibrantly bright green liquor. 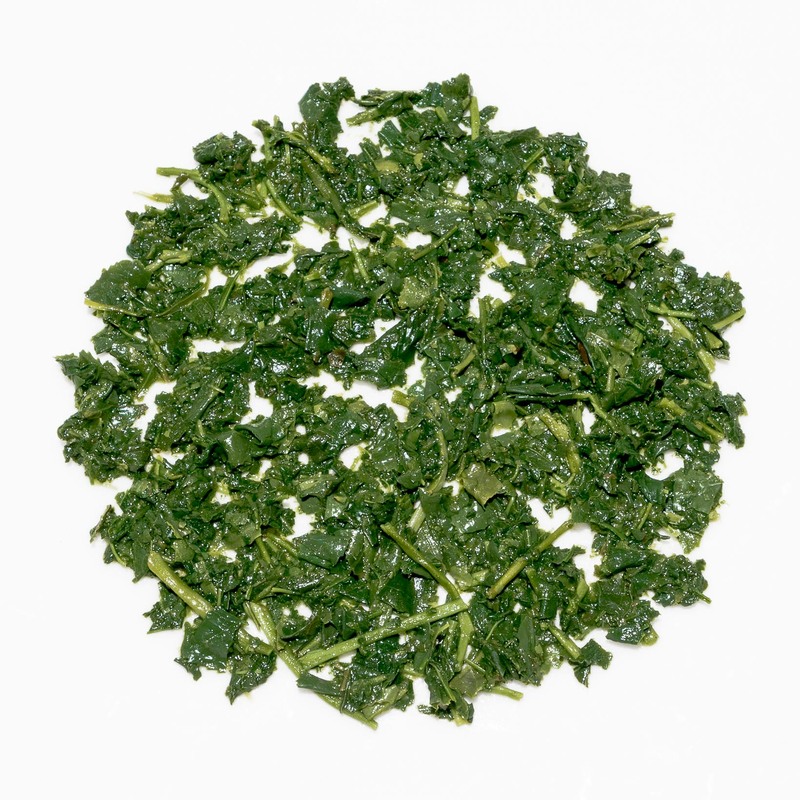 It has a typical savoury and vegetal green sencha aroma. 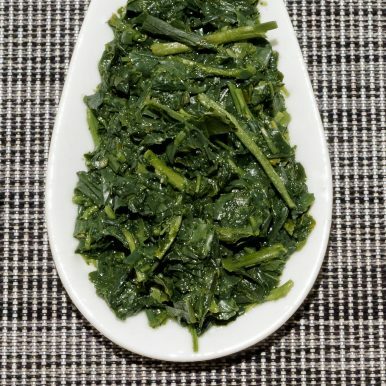 The taste is surprisingly delicate, reminiscent of fresh green vegetables. The profile has a mild umami and savoury body, yet is refreshing and has a pronounced sweetness on the aftertaste. 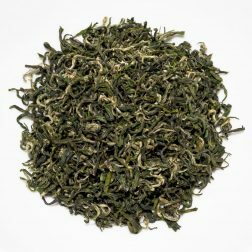 Compared to other senchas, the deep steaming results in greatly reduced astringency, making this an easy drink – the brisk flavour and vegetal umami notes give way to a pleasantly sweet, smooth aftertaste. We highly suggest brewing at 70°C (not to burn or damage the delicate leaves) for just 1 minute. It can be brewed at least 3 times. 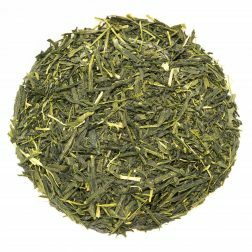 This Ariake Fukamushi Sencha green tea was first featured in our October 2017 Curious Tea Subscription Boxes.